For Polar specialist Jonathan Goldsmith it is often the story behind a photo that makes it a treasured memory. 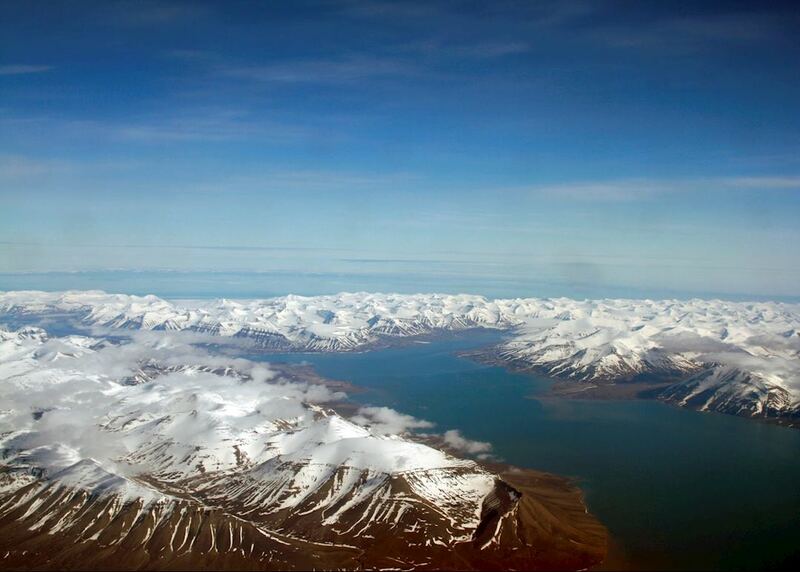 These are his favourite pictures from his recent trip to Spitsbergen in the Norwegian Arctic. Spitsbergen is world famous for its polar bears but the mesmerising scenery here is well worth a visit in its own right. The sculpted snow and ice of the fjords, the backdrop of jagged peaks, the shifting light and the dramatic atmospheric conditions give it an otherworldly quality. This shot was taken early one morning from a zodiac and despite the grey, misty day, the landscape offered incredible tonal depth and detail, even in black and white. Everyone else on board was focussed on a flock of king eiders so I always like to think that I was the only one to have witnessed this scene. Shore excursions are the highlight of any polar expedition but while on board the ship, the deck is undoubtedly the place to be, whatever the weather. You just won’t want to miss the magnificent scenery or the chance of an unexpected wildlife encounter. The day I took this picture it was freezing and there were only two of us braving the deck for short spells before running to the bridge to warm up. As the boat moved through the grey mist, birds gathered around it. This was one of a pair of puffins that circled the boat about ten times as they headed out on a fishing trip. Standing on a moving boat with a very long lens it took me about 100 attempts and a lot of pictures of the sea to get the shot I wanted. But the frozen fingers were worth it as I eventually managed to capture on camera one of the very first puffins I had ever seen. We have yet to have a client return from Spitsbergen without seeing a polar bear, but on my latest trip we were treated to a particularly special experience. Just three days into the journey we were all feeling satisfied with a sighting of a large male roaming the shore when rumours started to surface that something greater was in store. A whale carcass nearby was attracting the attention of a group of bears and the next morning we boarded the zodiacs to see it for ourselves. En route we spotted a mother bear and cub heading for the corner of a small bay where the carcass was lodged in the ice. A large male was already there ripping chunks of meat off the bone. Over the course of a couple of hours 15 different bears took their turn at the feast including the mother and cub. Adult males are known for their predatory nature and it was quite a risk for the female to bring the cub to the scene, although the abundance of food must have made her feel it was safe. Here she can be seen fighting off a male bear and protecting her cub, a brawl that lasted ten minutes or so until, surprisingly, the male wandered off. I used about 6GB of memory photographing the bears and while I have some technically better shots, the immediacy and impact of this one makes it my favourite.